This blog post is written by Rear Adm. Frank Ponds, commander, Navy Region Hawaii and Naval Surface Group Middle Pacific. The region is honoring the valiant efforts of the many who defended the soil and sacrificed – some with their life – at Pearl Harbor during the Japanese attacks on Dec. 7, 1941. Extending over 23,000 acres on Oahu and Kauai, CNRH supports Navy ships, submarines and aircraft, as well as the Sailors who operate them, and oversees the U.S. Navy’s largest and most strategic island base in the Pacific. On Dec. 7, 2011, we will honor the men and women and the families of those who made the ultimate sacrifice on the island of Oahu 70 years ago. 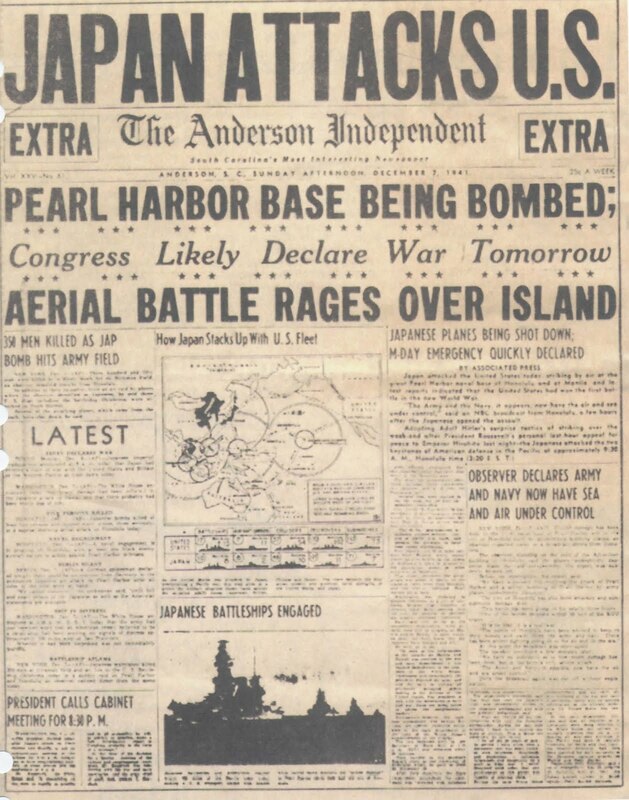 On that dreadful day, 2,403 American Sailors, Marines, Soldiers and civilians died, and another 1,178 were wounded. We will hold our commemoration at the Pearl Harbor Visitor Center, gateway to the National Park Service’s (NPS) World War II Valor in the Pacific National Monument where we expect 3,000 guests, including at least 100 Pearl Harbor Survivors and other WWII Veterans. The ceremony will start nearly to the minute – just before 8 a.m. – of the first attacks here, 70 years ago. Our guests will see the stark, yet beautiful, USS Arizona Memorial across the harbor, while they witness the Marines’ 21-gun salute and the buglers’ somber echo of Taps in the distance. As a tribute, USS Chung-Hoon (DDG 93) will conduct a Pass in Review, and the Hawaii Air National Guard will provide a Missing Man flyover. Guest speakers include Secretary of the Navy the Hon. Ray Mabus and Pearl Harbor Survivor Mal Middlesworth. The ceremony will conclude with a wreath-laying ceremony at the Arizona Memorial in memory of the lives lost on that dreadful day of Dec. 7, 1941. Not far from the Arizona is the Battleship Missouri Memorial, a symbol of the end of the War in the Pacific. One can imagine Fleet Admiral Chester Nimitz signing the documents of surrender on her teakwood deck; a fitting testimony of our nation’s resolve. The day will also be the first anniversary of the opening of the NPS’s newly designed Pearl Harbor Visitor Center. Our Navy had a big part in making the USS Arizona Memorial and Pearl Harbor Visitor Center a reality. In 1950, Commander-in-Chief, U.S. Pacific Fleet Admiral Arthur W. Radford re-raised the flag above USS Arizona. Parts of that once-mighty warship were exposed to the elements. The flagpole was on a small platform and was not accessible to the public. Since that time, the Navy achieved significant milestones to make the Arizona Memorial and this Visitor Center a reality – with the strong support of the people of Hawaii, public and private groups, the National Park Service and Veterans of our Greatest Generation. In 1959, the Navy selected Alfred Preis as architect of the USS Arizona Memorial, and sponsored a dedication on Memorial Day, 1962. In 1967, the Navy requested appropriations to build a full-scale center with a museum and theater complex. The Navy was a key partner in the design of the new Visitor Center, too. Over the years our collaboration and cooperation with the National Park Service has strengthened to a deep understanding and feeling of mutual obligation to our veterans and their families. Each decade the number of visitors to Pearl Harbor has grown by hundreds of thousands. Today, Navy biodiesel boats – named after Pearl Harbor Medal of Honor recipients – carry 1.5 million visitors each year, with our Sailors at the helm. Those visitors are now our partners, helping us carry on the meaning of Pearl Harbor. They learn the significance of the 1941 attack on Oahu and the legacy of the victory achieved in the Pacific. That legacy is represented not only in the history and heritage of our past but also in the strategic economic importance of the Pacific today and the dynamic opportunities of tomorrow. Our Navy in Hawaii is helping to build partnerships in the Pacific, responding to calls for humanitarian assistance, and providing persistent presence in ensuring freedom of the seas to protect those opportunities. On this day of commemoration, we are duty bound to ensure future generations remember our fallen so that they can carry on the tradition and commitment of defending the freedoms and ideals that our heroes of Pearl Harbor, WWII and the wars and conflicts before and after, dedicated their lives to preserve. That is Pearl Harbor’s enduring legacy and our sacred responsibility.